Brenda M. Hogan is the Senior Investment Manager with the Ontario Capital Growth Corporation (OCGC). OCGC was created to promote and develop the venture capital sector in Ontario, so that more high-potential technology companies have access to the capital needed to grow and prosper. OCGC investment activities have resulted in over $400 million invested in high potential technology companies. OCGC's venture capital investments have supported globally recognized, market leading companies, such as Shopify and ecobee. Previously, Brenda has held senior roles in corporate development, finance and strategic investing with Bell Aliant, EY, the Business Development Bank of Canada and a software start-up. 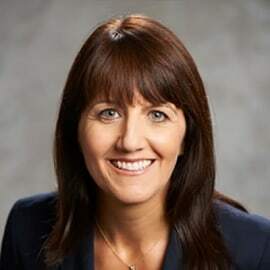 Brenda is Co-Chair of Canadian Women in Private Equity (CWPE); serves on the Board of Governors of Dalhousie University and sits on its Finance, Audit, Investment and Risk Committee; and serves with the Institutional Limited Partners Association (ILPA) as a member of the Research and Benchmarking Committee. Previously, she was on the Board of Women in Capital Markets and is a founding member of the Royal Ontario Museum Young Patrons Circle (YPC). Brenda holds an MBA in finance, is a graduate of the Rotman School of Business SME Board Effectiveness Program and has received leadership training from the Ivey School of Business.